Russian carrier Red Wings (owned by Ilyushin Finance Company, which is part of UAC, United Aircraft Corporation) has revealed plans to add 10 western-built airliners, one year ahead of the first scheduled delivery of Russia’s next-generation narrow-body MC-21, an aircraft produced by UAC. 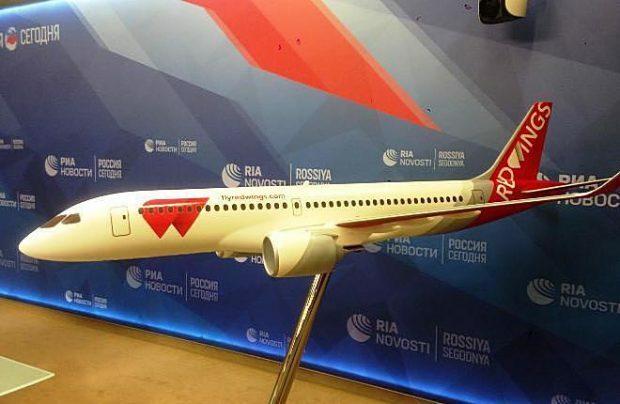 The airline’s general director Evgeny Klyucharev has revealed to Russian Aviation Insider that the plan is to expand Red Wings’ western-built fleet from the existing 12 to 22 aircraft, by adding six Airbus A220-300s (formerly the Bombardier CS300), and four Airbus A321s, all of them scheduled to arrive next year. With the new total of 27 aircraft in its fleet, including five Tupolev Tu-204s, the airline projects its traffic will grow by 150 per cent, reaching four million passengers, by the end of 2019. The target for this year is 2.7 million. The transaction for the four A321s is now at the final stage, Klyucharev says, adding that they are expected to enter service in the IATA 2019 summer schedule. The six new Airbus A220s are slated for delivery between May and October next year, which would make Red Wings the launch operator in Russia of the Canadian-built airliners. Despite these new developments, state-owned Red Wings, which turned 10 years this month, continues to position itself primarily as an operator of Russian-built aircraft. It attributes the current fleet expansion plans to a desire to develop traffic in its regional markets in advance of the delivery of 16 of the Russian next-generation MC-21 narrow-body airliners it has on firm order. “We see the opportunity for network development with narrow-body aircraft. So we want to bring our fleet to a significant level, and after that perhaps we could tackle the wide-body segment,” Klyucharev explains. Some of the Airbus A220s will strengthen the carrier’s position in the St Petersburg market in a plan that also embraces the further joint development of its route network with partner airline Nordavia. The latter has six aircraft based at Pulkovo, whilst Red Wings has only one there. In the summer season, it bases three more of its aircraft at Sochi and Simferopol, in line with the strategy to operate as many non-Moscow direct routes as possible. Red Wings’ growth plans appear ambitious against the current backdrop of an increasingly challenging Russian commercial aviation market, one in which local airlines are seeing their margins eroded as fuel costs and pilots’ wages continue to rise, with market leader Aeroflot recently forced to issue a profits warning. These factors surely also affect Red Wings, Klyucharev admits, saying the airline has had to cut its 2018 net profit expectations four-fold. However, he remains confident that this year’s financial results will still exceed those of 2017, which was the first year in which Red Wings climbed out of the red, posting 164 million roubles of net profit. Another factor plaguing Russian airlines are their sometimes unjustified, greedy appetites, an attitude that impels them to increase their fleets, thereby creating excess capacities. In turn, this impedes the reasonable growth of airfares. Whilst globally, the collective airline capacity is expected to grow by 6.7 per cent in 2018 (according to Routes Online), in Russia the indicator will likely hit 15 per cent (Russian Aviation Insider’s estimate), exceeding the projected 10 per cent traffic growth. Red Wings, along with Pegas Turistik’s carriers Nordwind and Ikar, is at the forefront of this development. In the period between May 2017 and June 2018 it added 12 Airbus A320 family aircraft to its fleet. Nevertheless, building up capacity can make the airline more efficient, Klyucharev insists. As proof, he cites the ratio of the airline’s 870 employees to its passengers is now approximately one to 3,000. Added to that, in the high summer season, the carrier managed to reach its top average flight-time per aircraft of 14 hours for its A320 fleet and 12 hours for the Tu-204s. Surprisingly, the seat load factor climbed as well, by 1.3 percentage points from January to June reaching 85.5 per cent. Klyucharev says he is hopeful that this level of utilisation will eventually reach 95 per cent.